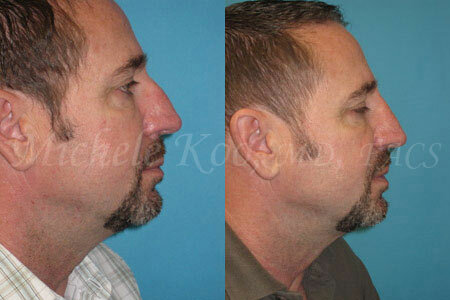 40 year old male requested rhinoplasty procedure to smooth out his “bump” on the bridge of this nose. He did not want to look different or “done.” He simply wanted his nose to look smoother. 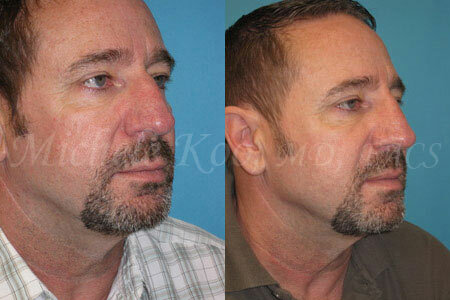 Dr Koo wanted to keep the patient’s look very natural, keeping the proportion of his nose to his face. Dr Koo removed the bump on his nose and narrowed the base of his nose to give a more smooth overall appearance of his face. Dr Koo respected the patient’s cosmetic desires. He maintained his identity but improved his look!